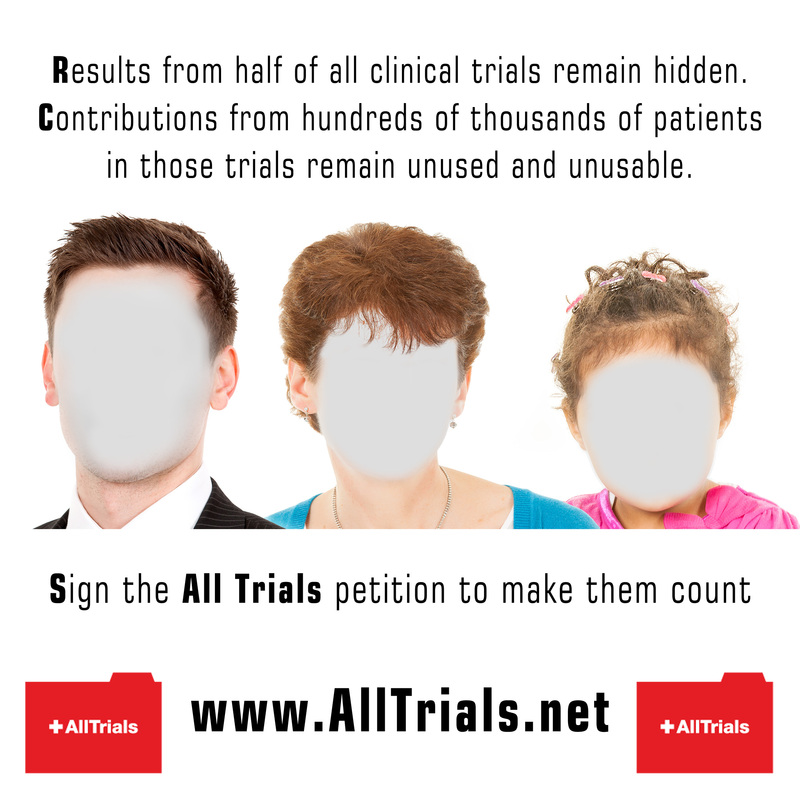 Help us reach 100,000 signatures on the AllTrials petition – share this image on Facebook and Twitter. Click on the image to open a full-sized version. “Results from half of all clinical trials remain hidden. Contributions from hundreds of thousands of patients in those trials remain unused and unusable. Sign the AllTrials petition to make them count.